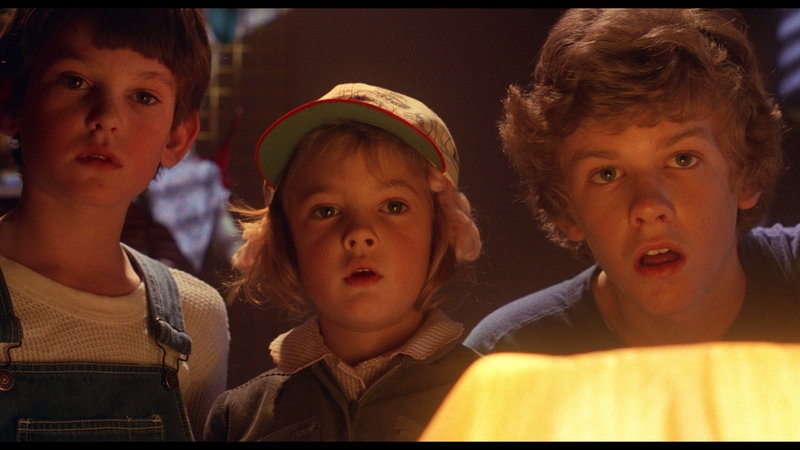 More than the lively humor; more than the elegant dreamlike lighting; more than the sum of flawless child performers; E.T. remains an elegant parable of acceptance, as seen through the innocent blinders of childhood. 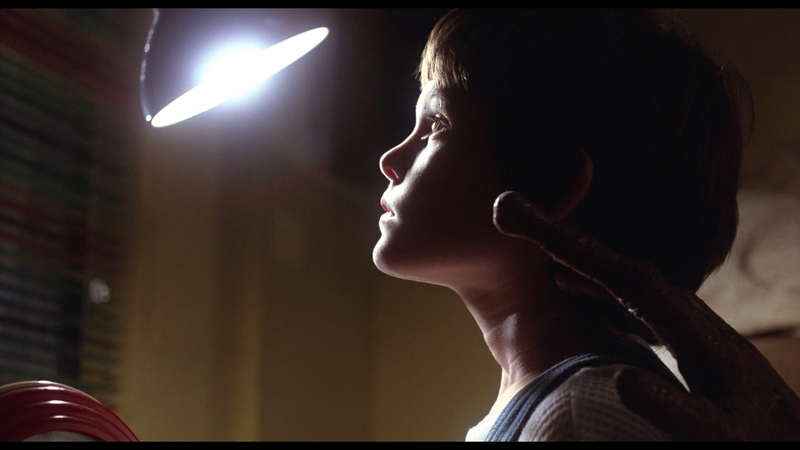 Without a predilection toward rash, reactive fear, the kids of E.T. see a plump, hairless alien being as a playful equal. Years before social media slung viral fear-mongering, Elliott (Henry Thomas) welcomes a plucky foreign outsider into his home. More Elliott’s closet, but still. Of its time, E.T. is a baby of Cold War. 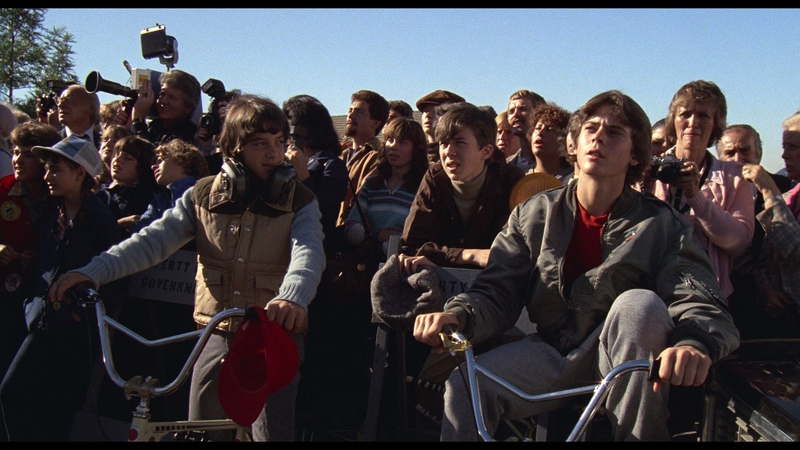 Through an IV drip of anti-government paranoia and oppression, Steven Spielberg morphs those real world elements into the pinnacle of the ‘80s kids movie. 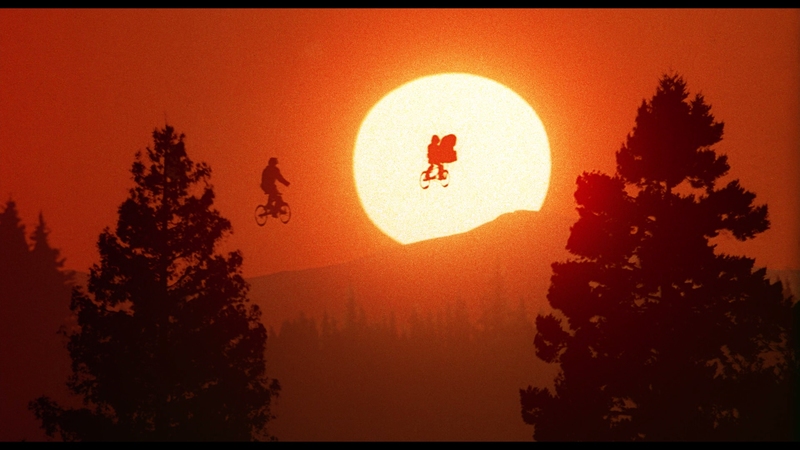 Goonies has nothing on E.T. 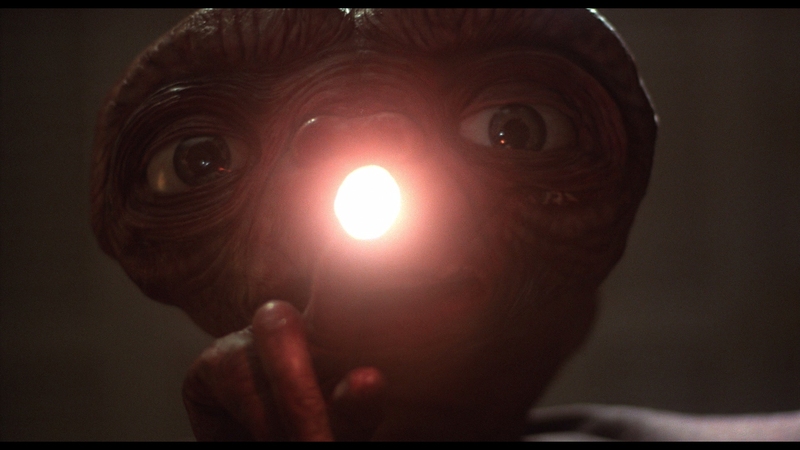 and the litany of copycats later – Mac & Me, Flight of the Navigator – recoup only a fragment of what E.T. captured. 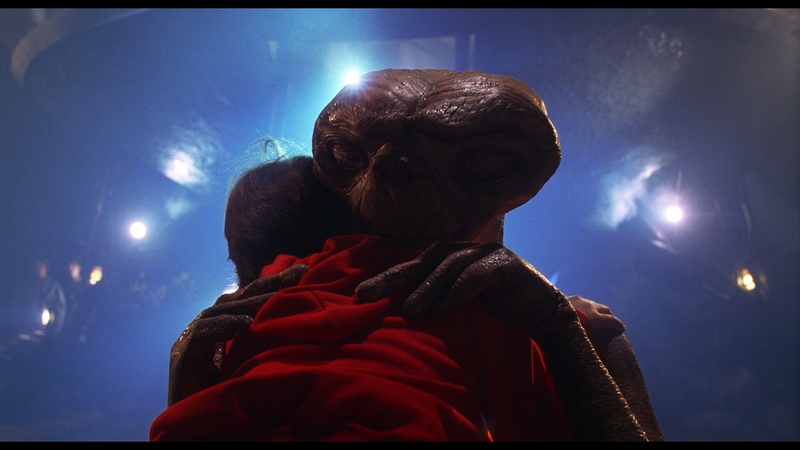 To consider it a children’s film, even one smartly using the role of perspective to maintain a low-to-the-ground eye line, is selling E.T. short. It’s too able, too smart, and too rich to reduce it to such a designation. The unstable if normal middle class reality is shaken by the introduction of an alien, then further still by government agents in imposing hazmat suits. It’s well established, grounded, and plausible. Spielberg’s aliens always are. 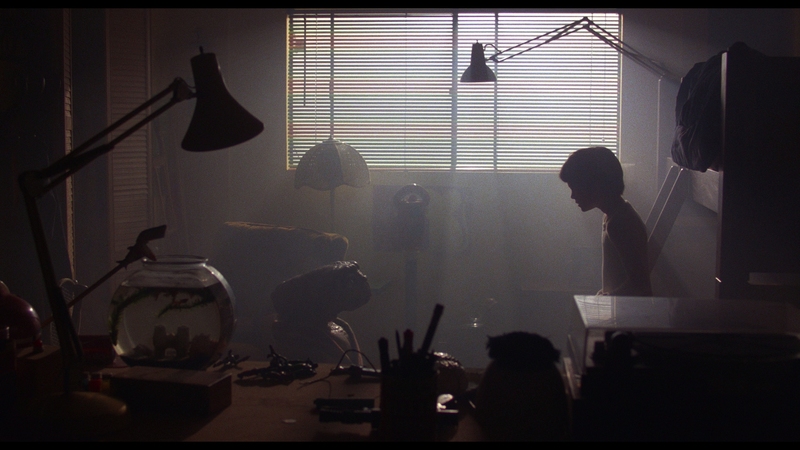 E.T.’s empathetic urgency and rationality speaks broadly; 35 years later, Spielberg’s film loses nothing. After all, this a creature desperate to make a phone call. That’s it. He’s friendly, lost, and confused, waiting for an opportunity to reunite with his family. Galactic immigration; the horror if a Republican-led congress needed to tackle this one. 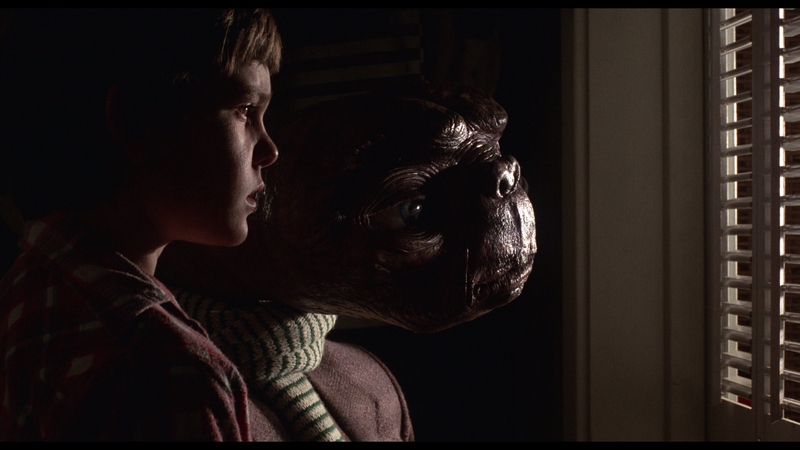 Ironic, or maybe speaking to E.T.’s overwhelming timelessness, the 35th anniversary of Spielberg’s feature rolls around during a period of hostility toward immigrants. In those values, E.T. speaks almost valiantly, reasonably; despite being born billions – if not trillions – of miles apart, E.T. and Elliot share a bond. Language is universal, says E.T.. So is common decency and compassion, but building walls is easier. Dissecting E.T. for its cine-magic is fruitless; it’s a perfect studio production, misgivings of Spielberg’s gross Lucas-like, walkie-talkie do-over aside (mercifully a forgotten blip of movie history). 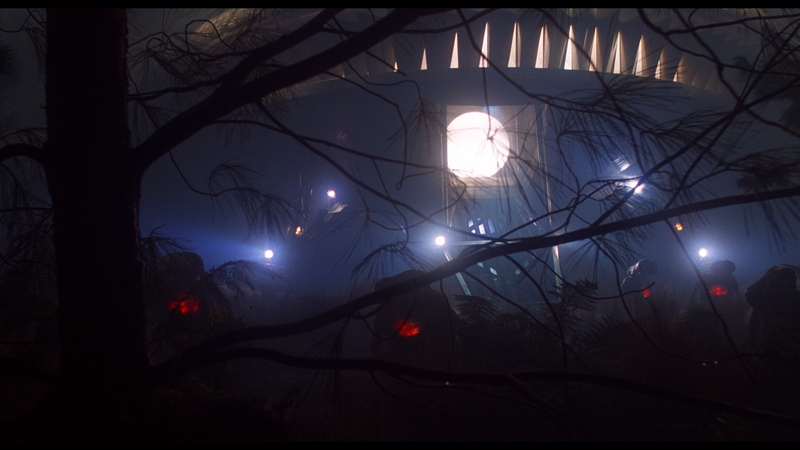 It’s powerful, in terms of its never-less-than-gorgeous cinematography, the direction, and the darling visual effects. That E.T. squirms, wiggles, and basks in short-lived alcoholism is necessary to the entertainment value. Also, for the underlying and potent efforts to be reasonable in a scenario where reason is so often deflected. 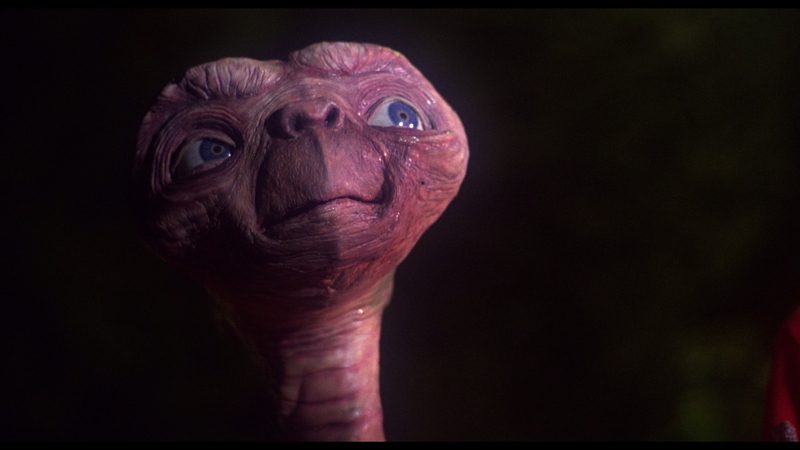 Universal debuts a gorgeous scan for E.T. on UHD. What’s here works with the film’s stunning use of shadows, especially in the opening act as the critter wanders around the forest as night. Not only is detail preserved, the marvelous depth gives E.T. a density it’s never had previous. Expertly resolved grain keeps an exemplary level of fidelity intact. Although a handful of medium shots show remnants of possible low-pass filtering, these minor instances fade quickly. What’s left behind is stellar detail, resolving natural facial definition along with beautiful California neighborhoods. E.T. himself creates ample chances for textural clarity. Along with the resolution boost, added punch to color saturates primaries. 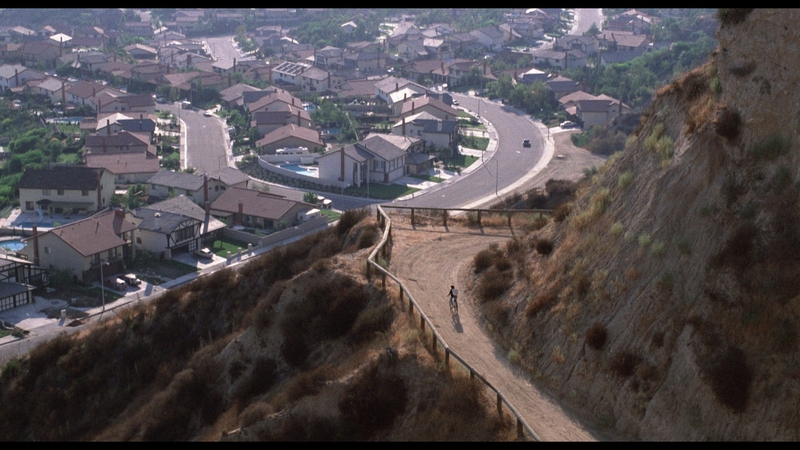 Although generally confined to darker interiors, E.T. opens up to sprawling parks near the end, dazzling with their dense greens. The ride toward the sunset fills with an array of solid orange. At night, natural blues (including the famed moon silhouette) brings out color hidden by previous generations of home media. Outside of the shadows, where E.T. excels is in breathing life into Allen Daviau’s cinematography. The hazy lighting accentuates with the touch of HDR, giving power to the alien ship’s exterior or a flashlight peering through a window blind. 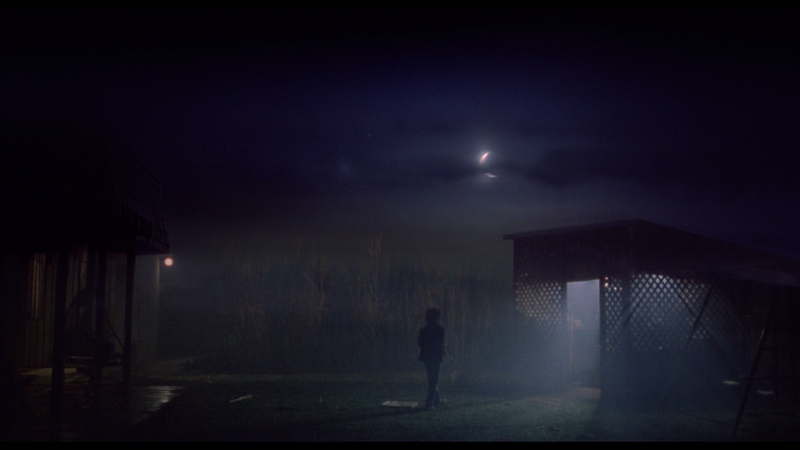 While at times too aggressive (the moon as Elliot stares into the barn mimics the sun), the additional heft is overall dazzling and unobtrusive. Paired with the black levels, E.T. only gains in beauty. Don’t be fooled by the different disc art. The Blu-ray inside the case is the same one released for the 30th anniversary. As such, DoBlu’s review for that E.T. Blu-ray stands. Between the previous Blu-ray’s DTS-HD 7.1 mix and this DTS:X track, the differences are few – if any really. Surrounds carry slightly elevated attributes. It’s easier to pick up on bikes panning around the soundfield during the ending chase than before. 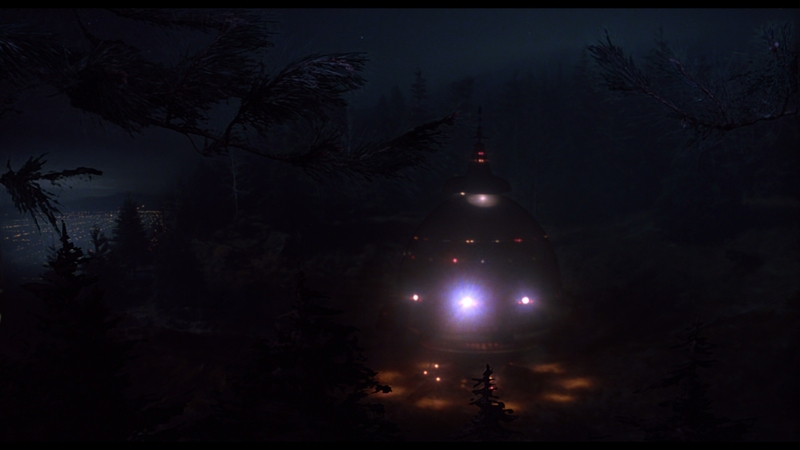 Better ambiance inside E.T.’s ship brings out the sound design a touch. The rest comes from the original stereo mix, separately included in compressed DTS, belting out John Williams’ iconic score (as if any other kind of Williams’ scores exist) with great extension and clarity. Faultless fidelity gives E.T. a modern sonic feel. Even dialog barely sounds aged. As said before, inside the case is the same disc Universal issued on Blu-ray a few years back. That means all of the extras carry over. None are new and the UHD itself holds no bonus features, but, spoiler: The old extras were pretty great. E.T. 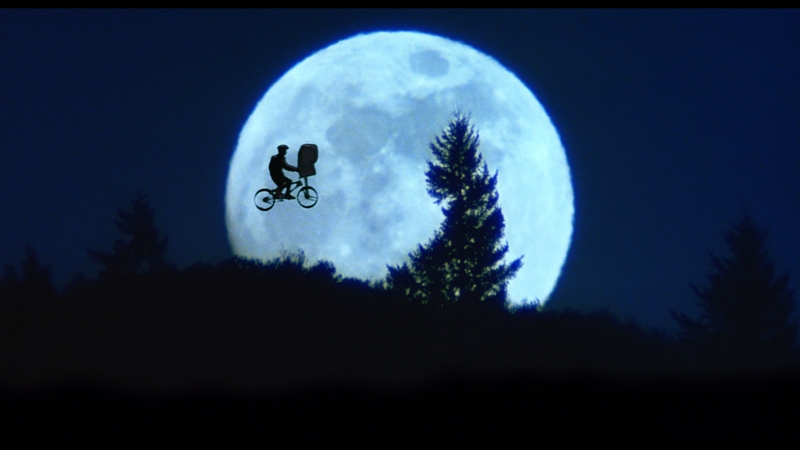 celebrates its 35th anniversary by proving itself timeless – few films translate to any decade as well as Spielberg’s. The 15 unaltered images below represent the Blu-ray. For an additional 25 E.T. screenshots, early access to all screens (plus the 7,000+ already in our library), exclusive UHD reviews, and more, support us on Patreon.